We've got figures with rotting faces and bodies on their backs, genuinely toxic rubber models designed to stink, maggot infested scalps, tramps with their legs wide open and old ladies who split in half to reveal giant tongues. What's not to like? Check out our top 30 list of the weirdest toys ever made. We cover everything from the strange and the unusual to the completely inappropriate. 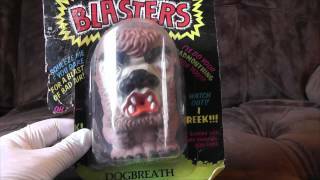 Weird Eighties Toys | Ashens | DIY Reviews! Manzanita Branches - Centerpieces (Do It Yourself Video) Motorized Camera Slider - Do It Yourself: DIY Room Organization/ Spring Cleaning + Decor!